Simply Cleaning your trusted cleaning company when it comes to retirement development commercial cleaning. No job is to big or to small. The Client:- McCarthy & Stone Brook Court development in Bradley Stoke, South West. At McCarthy & Stone everything they do is built around a belief that later life can be rich, rewarding and fulfilling. They believe it is an opportunity to rediscover the things you love and explore new territory. Helping people make the most of it is their purpose and their passion, so on a daily basis they strive to think differently and care more about transforming later life. 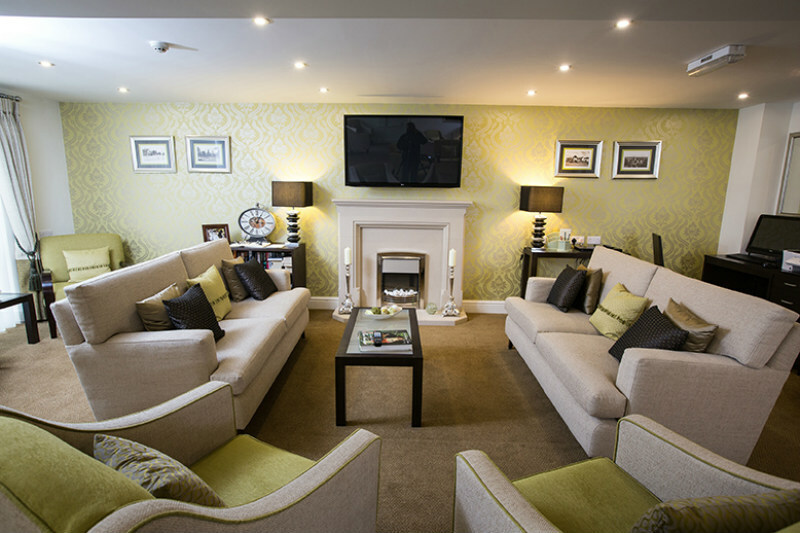 Over the past 35 years, they have become Britain’s leading provider of retirement apartments, pioneering the concept of purpose-built accommodation for older people. They provide 70% of this type of accommodation, having built more than 45,000 apartments in 1,000 different schemes. They offer a choice of different types of retirement developments that includes Later Living and Assisted Living. Their Later Living developments offer the independence of retaining home ownership while living in an apartment specifically designed for later life; provide more time to embrace the possibilities of later life through reduced maintenance and admin, as well as peace of mind and companionship. Assisted Living developments offer all of this, plus a helping hand through flexible care and support packages that make life that little bit easier. McCarthy & Stone offers the widest variety of award-winning one and two bedroom apartments that are for sale in over 200 locations across the UK. The Brief:-To build clean and sparkle clean fifty, 1 and 2 bedroomed apartments, as well as the resident’s lounge, guest suites, laundry room and other shared facility areas. Simply Cleaning were awarded the cleaning contract for McCarthy & Stone’s Brook Court development in Bradley Stoke in 2013, which offered one and two bedroomed apartments specifically designed for later life. At the time proving so popular with buyers that nearly 40 per cent of the properties had already been purchased off-plan. The development itself was designed with a security entry system and off-street parking, offering peace of mind for residents. Each apartment was designed with later living in mind, promoting an independent and active lifestyle, whilst also providing security and comfort. Brook Court also featured a residents’ lounge as well as extensive landscaped gardens, which contributed to the community spirit of the development. 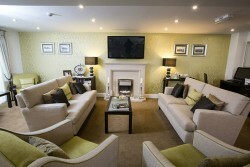 Family and friends were also well catered for with the availability of a guest suite. Paul Daly, managing director for Simply Cleaning commented: “We were delighted to be awarded the cleaning contract for McCarthy & Stone’s Brook Court development. The Simply Cleaning team build cleaned and sparkle cleaned all of the one and two bedroomed apartments in the Brook Court development as well as the resident’s lounge, guest suites, laundry room and other shared facility areas. Simply Cleaning removed tapes, stickers and protection from windows and washed down removing dirt and cement from all the new PVC frames. They also vacuumed out debris in door tracks and wiped clean. The Simply Cleaning team then brick cleaned with acid the outside of the buildings to remove cement stains and cement deposits from the brick face. The team window cleaned all of the windows inside and out on the entire development. Simply Cleaning removed all of the cordex protective sheeting that covers the floors. The team then removed the protection and labelling from all the sanitary ware. Protection was then removed from all of the cupboards, doors and kitchen units. Paint was removed from every socket and switch in the development. A complete re-clean of the apartments was then performed after the snagging ready for the NHBC inspection and customer inspection. The apartments were then re-cleaned again this is a detailed clean (sparkle) ready for the homeowners to move in. Simply Cleaning then provided a service to the sales team to clean their stock plots to ensure that they were highly presentable for sales at all times. Call Simply Cleaning we have the most qualified and skilled construction cleaning team and use the latest in cleaning technology, cleaning products and cleaning services. Simply cleaning can carry out builders cleans, sparkle cleans and re-cleans to meet the needs of your project.